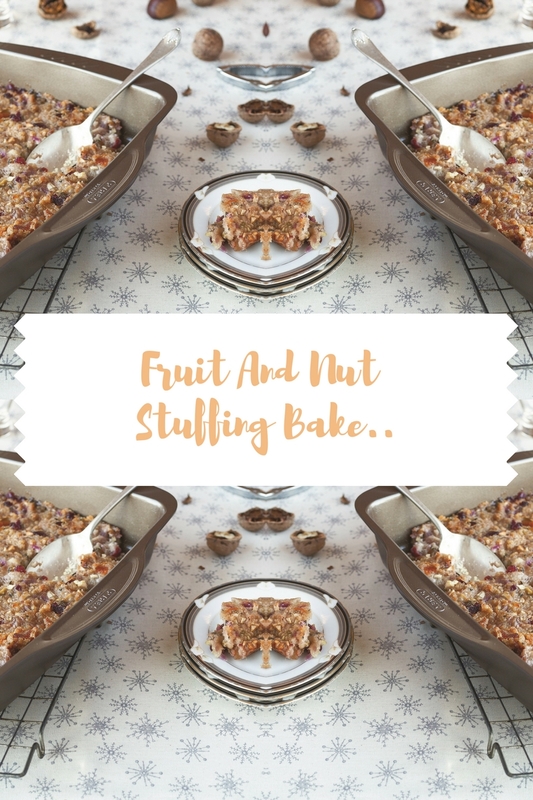 Fruit And Nut Stuffing Bake..
dried cranberries, walnuts, chestnuts or pecans, mixed herbs & seasonings so can imagine how yummy it tastes!? 1. Preheat the oven to 180˚C/160˚C fan/gas mark 4 and butter the bottom and sides of the Pyrex Asimetria Rectangular Roaster. 2. Melt the butter in a frying pan over a medium-high heat and cook the celery, apples and onion for five minutes until soft. 3. Stir in the parsley, thyme, sage, salt and pepper. 4. Pour in the vegetable stock, scraping up any browned bits from the bottom with a wooden spoon. Remove the pan from the heat and leave to cool slightly. 5. Combine the cooled mixture with the breadcrumbs, apricots, cranberries and nuts until moist. Stir in more stock if needed. 6. Transfer the mixture to the Pyrex Roaster and bake for 30-35 minutes until golden brown on top. Do you like side’s on your Sunday dinner? What kind of sides do you like? 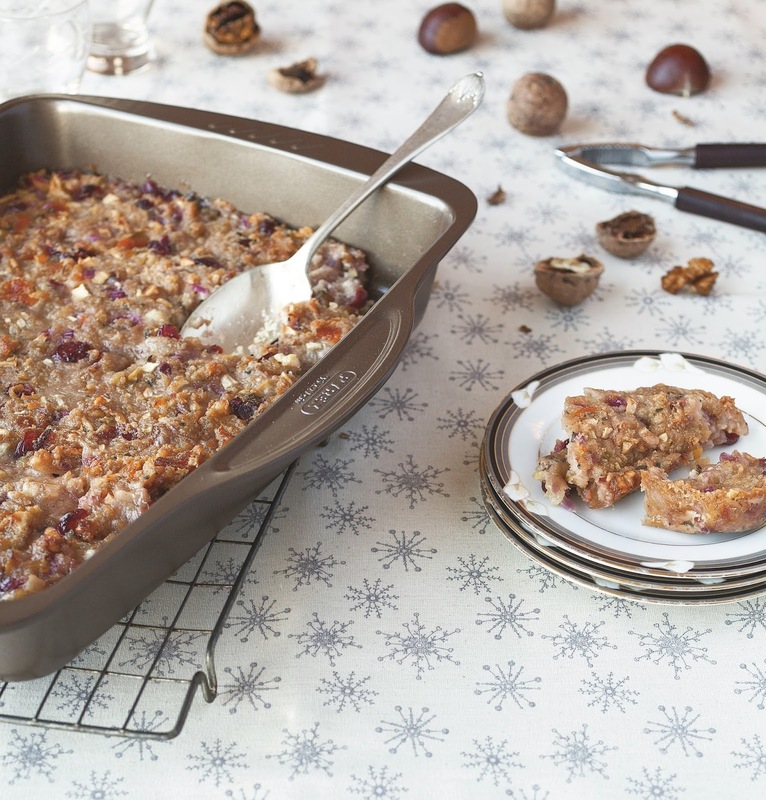 Fancy making some of this fruit and nut stuffing? Let me know your thoughts if you get to make some. Blackberries: Welcome To The Weekend Blog Hop..
"Butternut Squash, Turkey And Stilton Quiche"
"10 Tips For The Perfect Christmas Tablescape.."
Yes it is 🙂 Thanks for stopping by lovely. Oo I bet that is amazing! Sounds delicious. Would love to try this recipe.